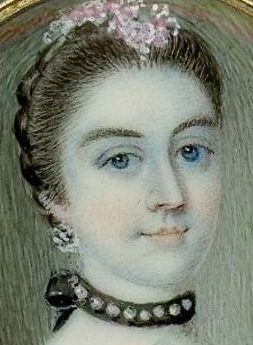 A small but captivating portrait of a young blue-eyed lady wearing a lace-trimmed pink dress with a pink rose on her corsage and a black velvet choker necklace studded with pearls and tied in a bow on the nape of her neck. 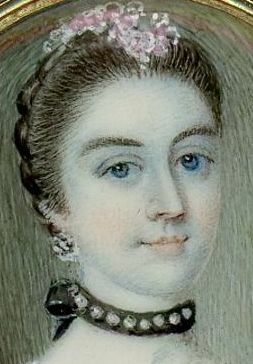 Her brown hair has been plaited, drawn up and decorated with pink and white lace. 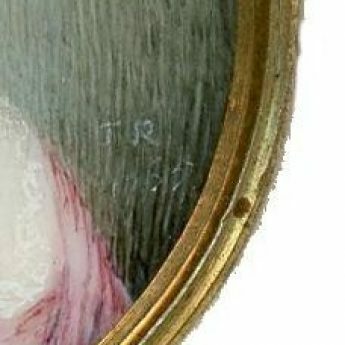 The portrait is signed and dated ‘T.R. / 1765’ bottom right. 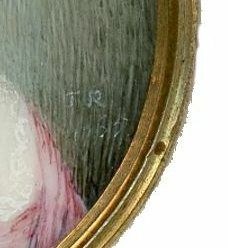 It is housed in the original gold frame that is enclosed on the reverse and appears to be impressed with the initial ‘P’ on the side edge. Both miniature and frame are in truly excellent condition. 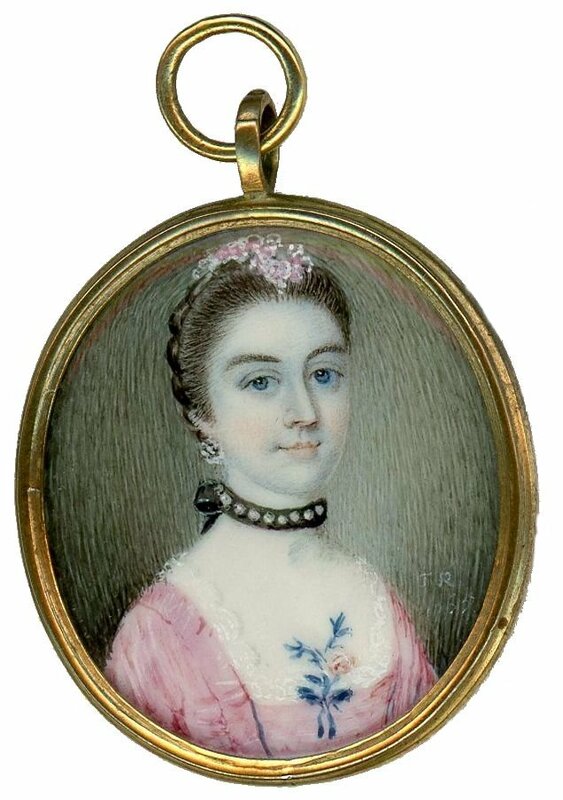 The son of a clergyman, Thomas Redmond (c.1745-1785) was initially apprenticed to a Bristol house painter but left the job to pursue his passion for fine art studying at St. Martin’s Lane Academy in London before establishing his own studio. He worked primarily in mid-Wales before moving to Bath where he was assured a steady clientele amongst the city’s wealthy residents and regular visitors.